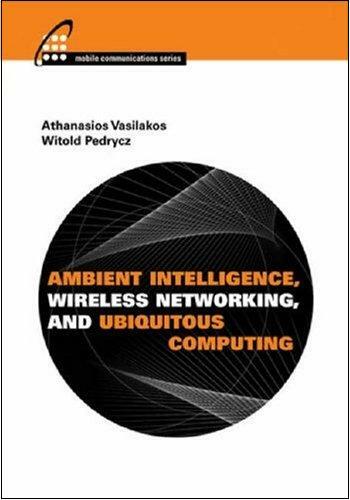 Ambient Intelligence (AmI) is the next wave in computing and communications technology. Nano-sized sensors and computers, wireless networks, and intelligent software are being integrated to create AmI environments. One such AmI environment is an intelligent home that can sense changes in a house and its occupants to instantly track objects or call 911 in case of a fall or heart attack. Another AmI environment is an intelligent airport to effortlessly guide a traveler to a connecting flight, through customs, or to a waiting car service. This cutting-edge reference explains ways to plan for AmI service deployment, develop AmI software and networks, and further advance AmI capabilities. It looks at such nuts-and-bolts issues as security, architecture, systems integration, and quality of service. This forward-looking volume also covers such latest AmI developments as smart dust, smart personal object technology, and context-aware computing.